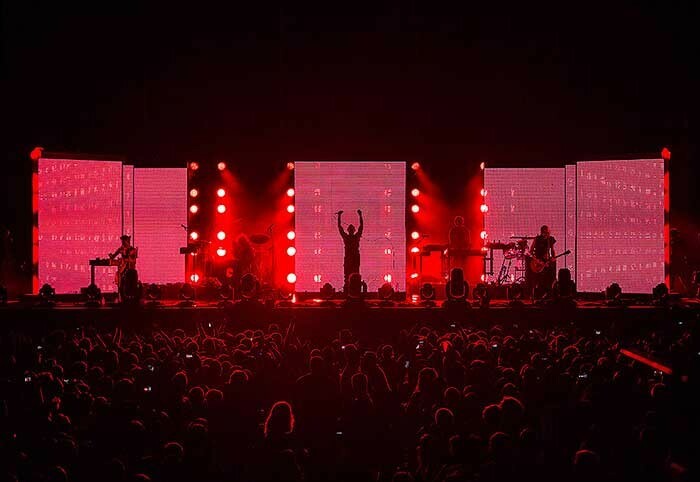 When LeRoy Bennett started specifying SGM’s X-5 LED strobes early this summer, he not only had Beyoncé’s The Mrs. Carter Show World Tour in mind but also the hard industrial sounds of Rammstein and Nine Inch Nails. 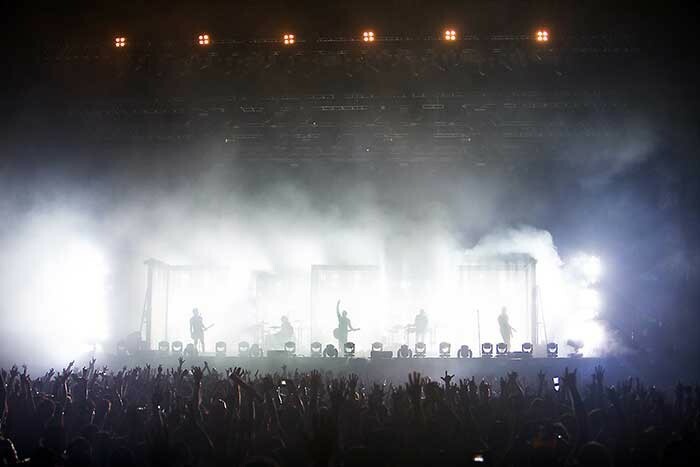 The deployment of 144 heads on NIN’s world arena and festival shows, he believed would contribute to a production that was “visually high art minded”. Returning to the stage after a long break the band’s mentor for the last 25 years, Trent Reznor, introduced a new line-up to promote the band’s eighth album, Hesitation Marks. 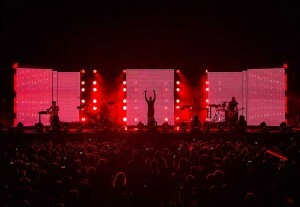 During production rehearsals at the LA Sports Arena Bennett had worked alongside production manager Chris Fussell, art director Rob Sheridan and conceptual artist Jon Morris, with the intention of “beefing up” the festival production and creating an interactive set, with video walls — adding the SGM strobes to help create “interesting depths”. The design evolved in close collaboration with Reznor himself. After the successful opening show at the Fuji Rock Festival in Japan, it was left to Paul ‘Arlo’ Guthrie, who has collaborated regularly with Chris Fussell in the past, to tour the show as lighting director through the US and Europe festival dates. The inventory was provided throughout by Upstaging Inc. The design for this production featured eight floor-standing lighting pods, each pod including three rows of six X-5s mounted vertically amongst other discharge and LED fixtures. The six upstage pods stood side by side, making a wall of lights with one single pod each downstage left and right. For his first time out with the X-5’s the experienced lighting director said, “I loved the colour temperature of these strobes and the way the overdriven LEDs emulated xenon strobes. Meanwhile the band is now back in the States having started their latest leg — the Autumn Tension tour.